Winter Blues Remedy! A must for anyone! WINTER BLUES, GETTING TO YOU! DO NOT DISPAIR; THERE IS ONE OIL YOU SHOULD NOT DO WITHOUT! Yeah, the winter season is definitely here, and for those who did not notice… that’s simply marvelous, but for those (and I definitely belong to the latter category) who dreadfully await it and count every single day until the warm sun rays brush their soothing warms on our shoulders again, winter can be a challenge on all levels – physical, emotional, spiritual. One does not have to be an expert in aromatherapy to rip the benefits of essential oils and in this case one in particular. Can you guess which one is it? It the oil that brings cheer, harmony, motivation to the heart and it encourages strength and joy along with confidence. It lightens the darkest moments, bringing light, love and peace and harmony into your life, illuminating it with its radiance. The high frequency essential oil that comes from a citrus fruit that is sort of a cross between an orange and a grapefruit, can you guess it now? Yes it is not other, like Bergamot. It works very well when you are having hard time staying positive and staying for too long in the shadows of the mind. Highly recommended oil in cases of depression, melancholy, anxiety, stress, hysteria, any type of emotional crisis. This oil is very powerful for working on your auric field. “ It is an amplifier of light energy, energizing and magnifying, opening the heart to cosmic joy… it brings eternal youth and happiness, even to those who have put aside their problems, ignoring them until they have become so overwhelming they feel thy can not ask for help…. To any soul, bergamot brings freshness and illumination, lifting us from stagnation, bringing an awareness that the light will rescue us and take us ever forward o the realms of peace and joy” – V.A. Worwood. This is the most valuable oil at aromatherapist or anyone’s disposal for helping with any mental or psychological states. It is the best at uplifting, but not stimulating. This is not a stimulating oil. It will lift the spirit while relaxing you. It combines very well with Lavender, for more relaxing and geranium for more energetic effect. 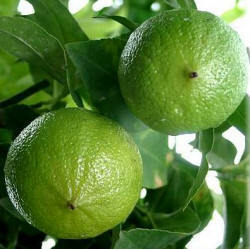 It goes very well with other citrus fruit for lifting you higher, such as orange, lime and grapefruit. Please do take caution, do you use Neat on the skin. It is a photosensitizer, and increases skin’s reaction to the sunlight and makes it more prone to burning. Use in massage oils at 2% dilution (about 10 to 12 drops per 1oz of carrier oil). Use in diffuser in your space, about 4 to 12 drops depending on the size of the room. Place a a drop on each long sleeve of your shirt or sweater. Or put 1 to 2 drops on the cotton ball and place it in the Ziploc bag and breeze it in each time you need some uplifting. Bathing with this oil will also be wonderful. Remember do not used it neat in the water, first dilute it in one teaspoon of carrier oil and then add to bath water. About 4 to 6 drops of oil in 2 teaspoons of carrier oil then add to water, disperse with hand and get in. Soak for about 10 to 15 min. My favorite way is putting it on my sleeves and on my shoulders, closer to the nose J and also diffusing it in my ambient.